Students love game show reviews. 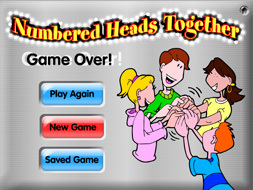 And students love teamwork. 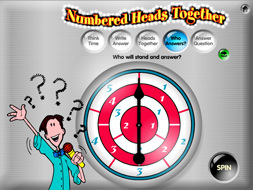 We've put them together in this game show software that your students will ask for time and again! 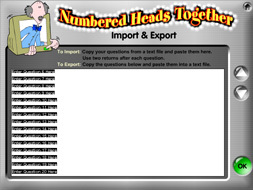 You simply type or paste in your questions or problems for any subject and you're ready to play. 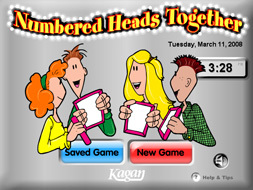 It's so easy to use, you can set up a game in just minutes, plus you can save all your games to play next period, next year, or as a refresher next week. 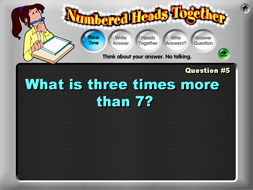 You can use just about any type of questions: worksheet problems, review questions, test prep questions, or you can even play with thinking or trivia questions. 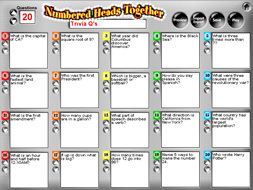 The game leads teams through Numbered Heads Together, a longtime favorite cooperative learning review structure designed to promote teamwork and accountability for every student. 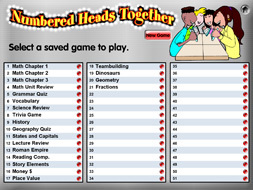 Students put their "heads together" so everyone on the team can answer for the team. And since any student can be picked at any time to share the team's answer, everyone must keep tuned in to every question or problem. 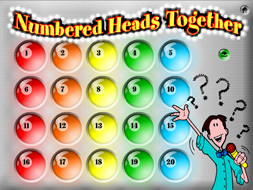 Unlike other review games, with Numbered Heads Together you're confident that every student is actively engaged and that everyone is learning. 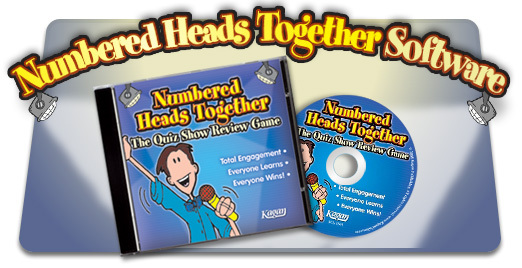 Put the excitement of a quiz show together with the best of instruction and you will transform any review session into a power-packed learning experience. Single user: ENH • $29; 10-User License ENH10 • $249 Save $41!